At night, the glow of the clear glass pieces in artist Martin Blank's Fluent Steps scultpure at the Museum of Glass (MOG) is beautiful. We got to photograph this newly married bride and groom there at dusk, so that we could capture some of that deep blue color and detail in the sky before it went completely dark. 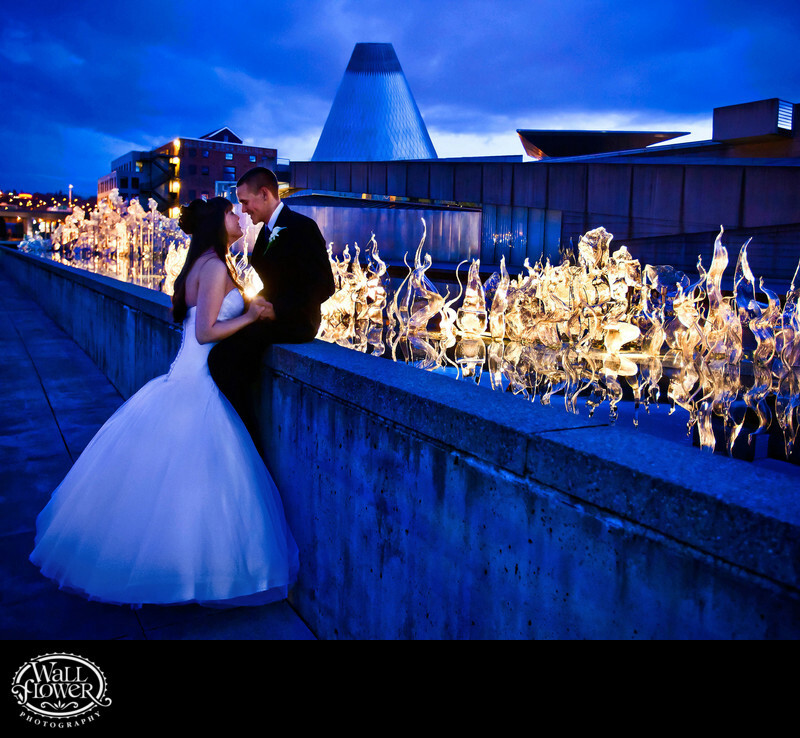 The groom is sitting on the wall of the reflecting pool in which the 754 glass pieces are installed, and the bride is standing between his knees, ready to kiss.